Sleep is a good indicator of our overall health and well-being. Seven to nine hours of sleep is recommended to feel truly rested, but oversleeping on a regular basis could signal problems with our brain health. 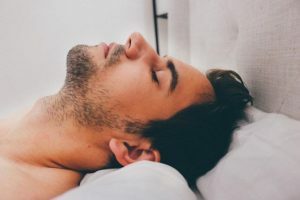 A study published in Neurology found people who consistently sleep more than nine hours a night are more likely to develop dementia accompanied by smaller brain volume, and poor executive function. “Participants without a high school degree who sleep for more than 9 hours each night had six times the risk of developing dementia in 10 years as compared to participants who slept for less,” said Dr. Sudha Seshadri, corresponding study author, and professor of neurology at Boston University School of Medicine Alzheimer’s Disease Center (BUSM) and Framingham Heart Study (FSH) senior investigator, in a statement. b. The disorder affects 4.6 million people in Japan, with the number forecast to rise to 7 million – or one in five people aged 65 or over – by 2025. 2. In addition to prolonged sleep, there are two other surprising things linked to the onset of dementia that we should monitor carefully. a. Loneliness: Spending too much time by yourself may trigger the onset of dementia. b. Air Pollution: Living near a highway or a highly populated urban area can increase the likelihood of developing dementia for older women.